Hopes for The King’s Stephen Curry and Stephen Hall to present the Graham Kennedy Award for Most Outstanding New Talent as Graham and Bert. Sunday May 6, Crown Casino, Melbourne. 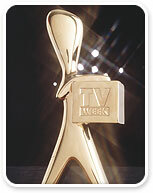 * The TV Week Logie Awards must always be branded the TV Week Logie Awards! NB: This section will update with further news. I think that City Homicide will be a great show. It features great actors and should rate well!